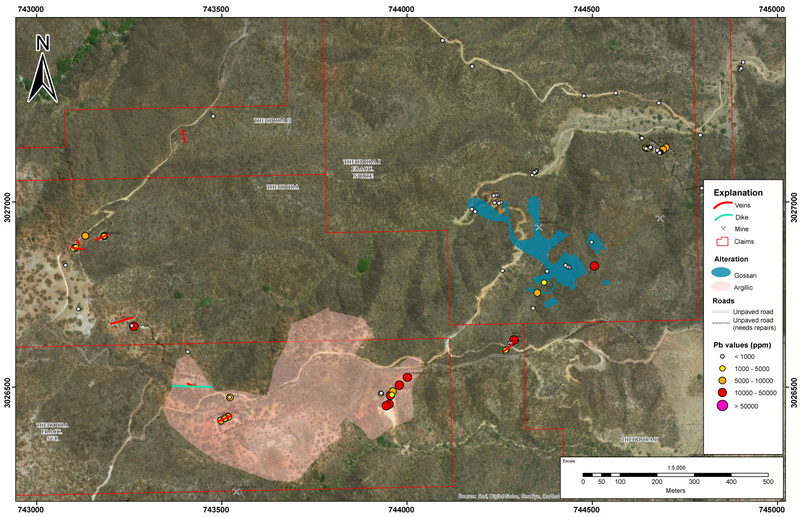 April 9, 2019 - Bridgewater, NS - (TSXV:SSE) -- Silver Spruce Resources Inc. ("Silver Spruce" or the "Company") is pleased to announce that its ongoing field exploration work continues to expand the known mineralized areas and has identified additional drill targets for its upcoming program at the Pino de Plata project in western Chihuahua State, Mexico. 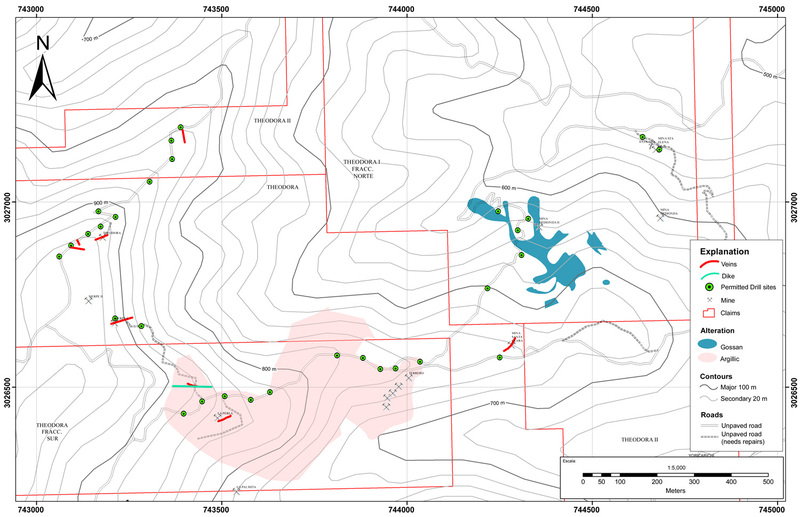 The eastern area of the property, east of the strong argillic alteration at the Terrero target, hosts contact related replacement mineralization. Gossans (iron oxide-rich rock formed from original sulfide material) that presumably formed from oxidation of near surface mineralization were identified and sampled by the Company, with assays of as much as 349 g/t Ag, 2.7% Zn and 0.9% Pb and generally higher Bi geochemistry. Mapping currently underway indicates that the mineralization appears to be related to a northwest trending contact zone between hornfels and intrusive rock. Recent work has expanded the area prospective for intrusion-related replacement mineralization approximately 500 meters along strike based on geological mapping and qualitative geochemistry from a handheld XRF instrument. The prospective area now covers approximately 30 hectares on the property. More systematic exploration is being completed to select the best locations for drill sites into this mineralized area. The western areas of the property hosts numerous parallel mineralized veins where the Company has sampled as much as 553 g/t Ag, 7.1% Zn and 5.1% Pb. To date, field work has identified at least 7 distinct veins that outcrop on surface, several of which have been subject to small-scale, historical artisanal mining dating back to the 1800’s. Most of the veins strike approximately east-west to east-northeast, but some have a more northerly strike and vein intersections could be important exploration targets. A locally silicified dike recently encountered has a similar orientation. Dikes are spatially associated with mineralization in several districts in western Chihuahua and this is believed to be a favorable indication for the Pino de Plata mineralization.